Where Is Gen Y Hiding? Home LearningWhere Is Gen Y Hiding? Home › Blog › Where Is Gen Y Hiding? I'm on LinkedIn and in there I belong to a number of groups relevant to my interests, one of which is a group called "Generation Y". As far as I can tell it's the main group for this topic, and I joined up for some exciting insights and good debates. Now, something I find baffling about this group is that nothing happens in there. Although there are over 200 members (which agreed, is pitiful in itself) no one posts articles, barely anyone starts discussions and very scarcely are any comments made. While other groups I belong to such as business networks / learning professionals /instructional designers have thousands of members with new discussion topics all the time, comments are plentiful and articles are posted non-stop. 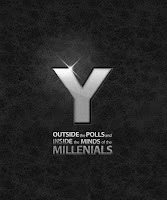 To this end, I posted a discussion in the Gen Y group called "Is there another Gen Y Group on LinkedIn with more action? ", because I really thought I was missing out. Funnily enough, this discussion topic has one of the highest number of comments (8), some echoing my thoughts - where are all the Gen Y's hiding, because they sure as hell aren't on LinkedIn joining a group called Gen Y! To really connect with this age group, the 'pigeon holing' must stop. Get on with talking to them and being their friends - not in a fake way - for real. Because these people (myself included) are not too different from the generations that have come before. So what if they don't respect the hierarchy of 'old business'. So what if they don't want to just be a cog in the wheel not knowing their part in the bigger picture. So what if they don't just sit down and do what they're told. The time for innovation is now, 'old business' is falling down around us, so what have you got to lose? Embrace your younger colleagues, don't bemoan their attitudes, instead show them they are truly valued for their continual quest for knowledge, for their ethics and for their desire to be recognized as individuals. Invest in them, in their ideas and in their futures. The rewards that come with adopting this new attitude will see your company cross the line in to the 'new business' world and I believe that it is these adaptable, agile and edgy businesses that will survive the current crunch. So, where is Gen Y hiding? Well they're all around us, and in 10 years time they'll be the majority of the workforce. So it's a good idea to get to know them now, while you have the chance.